I also whipped up a little gift for myself. I realized that I - the self-proclaimed Christmas Princess - do not own any Christmasy jewelry. 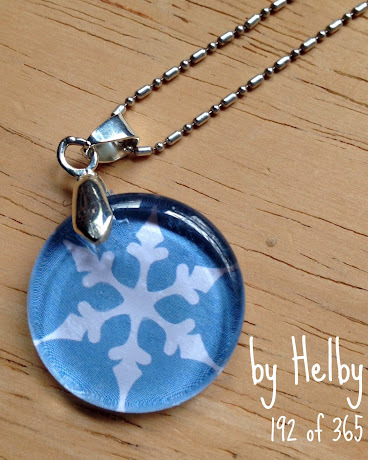 So, I following the instructions I made for the superhero magnets and made myself a snowflake necklace from scrapbook paper.